Civil rights leaders joined census policy experts July 17 in an urgent plea, particularly to communities of color, for a show of public activism and force to derail a fast-moving Trump administration effort to officially ignore them. The fight begins by taking full advantage of a narrow window of opportunity in which to speak out against it. That window closes on Aug. 7, the deadline for public comment on the administration’s last-minute plan to, as part of the 2020 census, ask every single person in the United States if they’re legal citizens. The plan is being sold as an effort to ensure voting accuracy, but is widely seen as obvious discrimination against communities of color and the poor by discouraging their participation in the census. Census data drives the allocation of political representation, business’ investment and funding decisions for transportation and hundreds of other government and private programs. By adding the citizenship question to the 2020 census, along with cutting its funding and changing how the counting will be done, the government is on course to ensure that millions of people in the United States will not be counted. Gupta, along with other representatives of Asian American, Latino, African American communities and census veteran Terri Ann Lowenthal, emphasized the importance of reaching out the Census Bureau either through the website censuscounts.org or by writing, and to do so by 11:59 p.m. on Aug. 7 at the very latest. “There will be no extensions for submitting public comments,” Lowenthal warned. “Historically, public comments, comments from stakeholders, has been influential,” she said. Lowenthal is policy advisor to the Leadership Conference Education Fund and former staff director for the House Census and Population Subcommittee. The Census has been conducted every 10 years since 1790. It's mandated in the U.S. Constitution. Typically, changes in its questionnaire and collection method are carefully planned and field-tested for years before they're implemented. Not so during the Trump administration and the GOP-led Congress of recent years. Gupta credited the idea of asking people about their citizenship to the hard-line anti-immigrant positions of disgraced Trump advisor Steve Bannon and Kansas Secretary of State and gubernatorial candidate Kris Kobach. Kobach has made a name for himself purging tens of thousands of mostly non-white voters from registration rolls with his Interstate Voter Registration Crosscheck program – not to be confused with ICE's Operation Cross Check arrest sweeps – which targets people whose names can be confused with those of other voters, such as people named Lee, Jackson or Garcia, for instance. In more than 99 percent of those cases, the alleged fraud by the disenfranchised voters was unfounded. “We have never witnessed a more systematic and thorough taking-down of the census," said Jeri Green, of the National Urban League, a decades-long partner with the U.S. Census. “Getting the census right is critical for Asian Americans,” said John C. Yang, president and executive director of Asian Americans Advancing Justice. “Inclusion of this untested question will lead to an inaccurate and unfair count of the American population and would be a derogation of the Constitution. There are currently seven federal lawsuits filed by an array of cities, counties, states, challenging plans for census 2020, particularly over the citizenship question, Yang noted. But there will be other battles to come. Green also described “prison-based gerrymandering” whereby incarcerated people will be counted as residents of where they’re locked up, rather than of their communities, and the per-capita benefits will therefore accrue to the region of the jail or prison. There are also plans to rely more than ever on online responses for data collection, and away from mailed questionnaires with follow-up by census staff for non-respondents, thus creating a “digital divide” whereby those for whom computer access is more difficult are more likely to be left out. But in the short term, the emphasis is on convincing the Census Bureau and its Commerce Depart­ment overseer of the importance of dropping plans to query people on their or their co-habitants’ citizenship status. Censuscounts.org is sponsored by the Asian Americans Advancing Justice, NALEO and the Leadership Conference Education Fund. 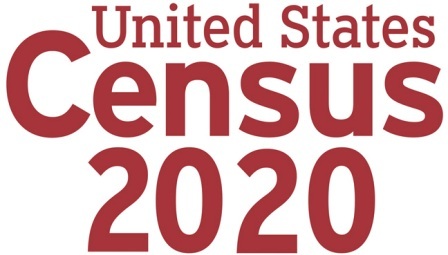 The census’ own web site claims to welcome comments, but the most recent news article posted there is from early March, before the citizenship question was proposed, and despite touting its presence on Twitter, Facebook, Youtube and “other social media channels” there is no easily accessible channel for discussion of any census processes or decision.